There are two trends we know to be true. One is the growing acceptance of marijuana use, and the other is the increasingly insatiable desire to have everything on-demand. Cannabis consumers are expecting the latest and greatest from the medical marijuana industry and the consumers’ wish is the industry’s demand. Consumers can now opt to have their medical marijuana delivered to their front step. That’s right. Pot. Delivered. To your front step. As the industry grows, however, more weed delivery services emerge, and it can be hard to determine which is best for you. After much time spent researching the weed delivery market, we’ve come up with three top services that suit the needs of registered medical marijuana users in different ways. SpeedWeed, one of the largest on-demand weed delivery services in the country, is known for two things—it’s magnitude, and its customer service. SpeedWeed has over 25,000 members, and it’s delivery services cover roughly 6,000 square miles in the LA greater area. SpeedWeed is California’s largest medical marijuana delivery service. 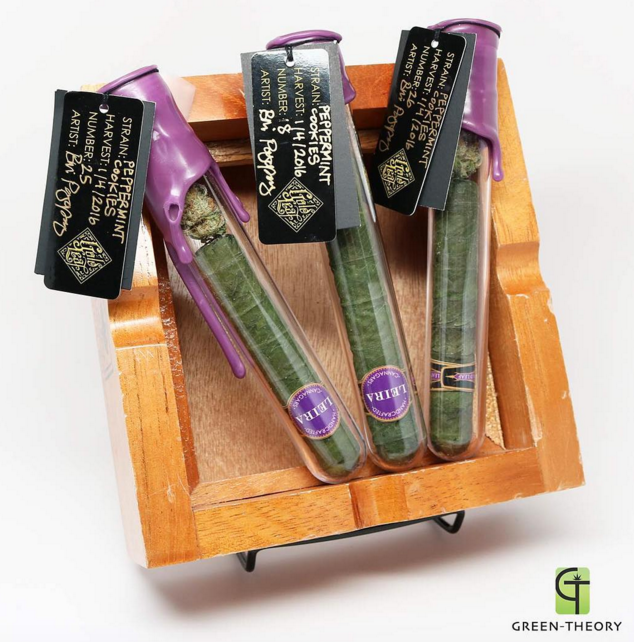 This service is online-based, and its website offers 15-20 different bud strains, and 5-10 different oils and concentrates. SpeedWeed only allows you to purchase flower in units of grams or eighths, but their eighth-ounce prices range from $40 to $60, which is extremely reasonable. But, consumers aren’t limited to ordering just flower. Other marijuana products available for delivery include edibles, vapes, concentrate, lip balms, and breath strips. Despite its name, this service is not known to be a particularly speedy one, with wait times ranging from 30 minutes to 3 hours; however, some might say that the additional $30 of free product with every order makes the wait worthwhile. That could mean three free extra pot brownies with your delivery. Perhaps over all, however, SpeedWeed prides itself on its well-trained and dedicated staff, who helps provide a consistent, professional customer experience. SpeedWeed’s customer service ensures a personal experience, while still remaining the largest weed delivery service in California. Last but certainly not least, we have Eaze, the multi-faceted weed delivery mobile application. (We’ll tell you right now, this one is changing the medical marijuana game entirely.) The Eaze app displays a variety of strains available at different local dispensaries that offer delivery in as little ten minutes. You can even track your delivery. Think “Uber,” but for pot! The bud selection is relatively large, coming it at about two-dozen strains, and prices fall within the reasonable range of $45-125 per quarter-ounce. Eaze’s delivery items also include, but aren’t limited to, pre-rolled joints, edibles, vapes, kief, oil, and shatter. The coolest part about Eaze though, is the “Eaze MD” platform that allows consumers to obtain a med-card through the app itself, as soon as within the hour. Customers can consult with a doctor through the app’s video chatting system for a medical marijuana assessment, and possibly receive a marijuana recommendation. The app allows qualified users to purchase a medical card for only $25 and receive it the same day, where as Californians would traditionally travel to a clinic, pay over $100, and wait several days to receive their card. Eaze is unlike any other weed delivery service out there.